John Buchan (1875 – 1940) was an author, poet, lawyer, publisher, journalist, war correspondent, Member of Parliament, University Chancellor, keen angler and family man. He was ennobled and, as Lord Tweedsmuir, became Governor-General of Canada. In this role, he signed Canada’s entry into the Second World War. Nowadays he is probably best known – maybe only known – as the author of The Thirty-Nine Steps. However, he wrote so much more that is worth reading: fiction, poetry, short stories, biographies, memoirs and history. In his lifetime, he published over 100 books. I’m going to devote 2018 to reading (and in many cases, re-reading) twelve of John Buchan’s books: a different book each month. You can find my reading schedule below and I would love it if other followers of this blog were to join me. You do not have to read every book or follow my schedule although it would be great if you did so that we can compare notes on our reading experience month by month. My intention is to post an article introducing each book at the start of each month (no spoilers!) and then publish my review of the book at the end of the month. Simply comment on my review post with a link to your own review on your blog or on Goodreads. 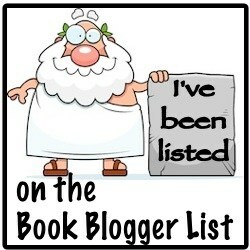 If you don’t have a blog, then just put your thoughts about the book in a comment. If you like the idea of this reading challenge, leave a comment at the bottom of this post to say you’re participating. Alternatively, simply wish me luck. If you share your participation or your reviews on Twitter, please use the hashtag #ReadJB2018. This sounds like a great challenge. Good luck! What a great idea for a reading challenge! Thanks. I also have quite a few Buchan titles on my Classics Club List so this is me trying to kill two birds with one stone!